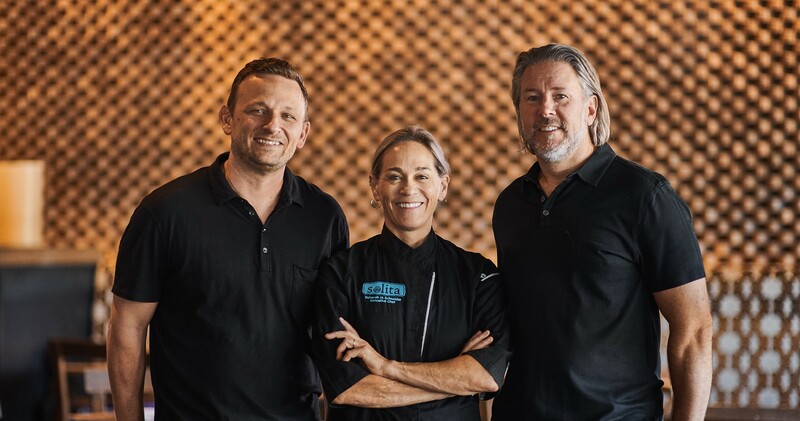 solita Tacos & Margaritas is about everything that makes us happy: great Mexican food, dynamite margaritas, and Southern California’s laid-back lifestyle–brought to you by us: the SoCal-based partners of SOL Mexican Cocina –Matt Baumayr, Deborah Schneider and Rich Howland. Here at solita, we like things to be casual and fun. Hang out by the patio fire pit with a hand-crafted margarita; or kick back at our friendly bar, grab some tacos, and explore our ever-changing collection of premium tequilas and mezcals. Enjoy a leisurely dinner in our spacious dining room, designed to evoke the industrial feel of an old tequila distillery. 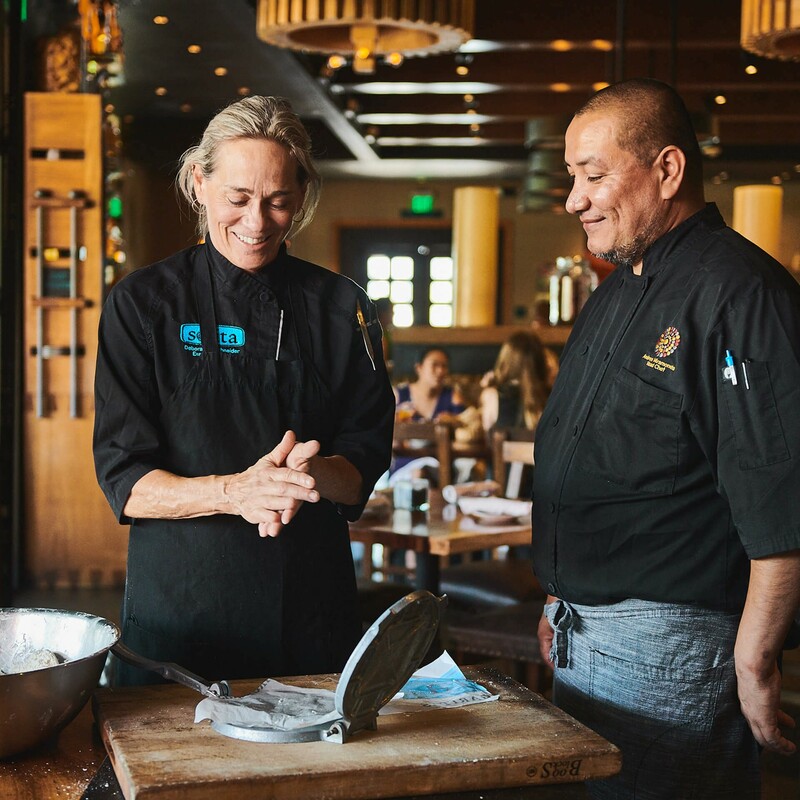 From the fresh house-made salsa and hot sauces that greet you at the table, to the tequila barrels that greet you at the door, everything about solita is designed to celebrate the warmth and friendliness of Mexico. 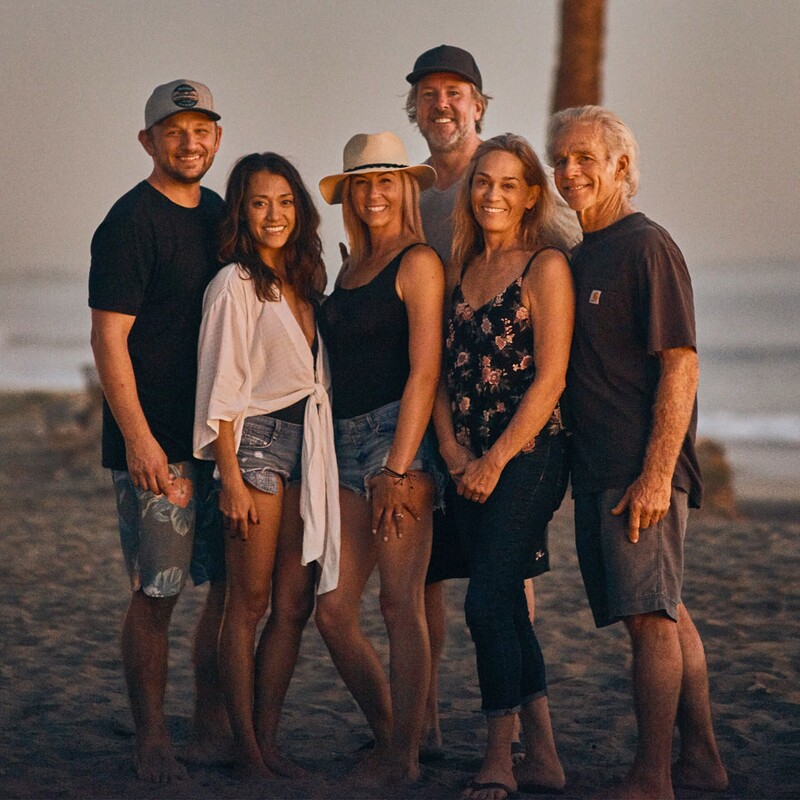 We fell in love with the taste of Mexico in big cities and small towns, traveling back roads, standing up at street taquerias and sitting down for family fiestas. Everywhere, we found something fun and delicious to share with our families and friends back home. Our famous charro tacos are cooked using an oak-fired Santa Maria grill and smoker, and served with over twenty different fresh-made salsas. Mix and match from the “Tacos Locos” list, which showcases Executive Chef Deborah Schneider’s inventive way with traditional and unique ingredients. Feeling adventurous? Try our Taco of the Month for a taste of new tacos, like our famous Charro BBQ taco, Carne Asada Volcanes, or the California Cadillac. 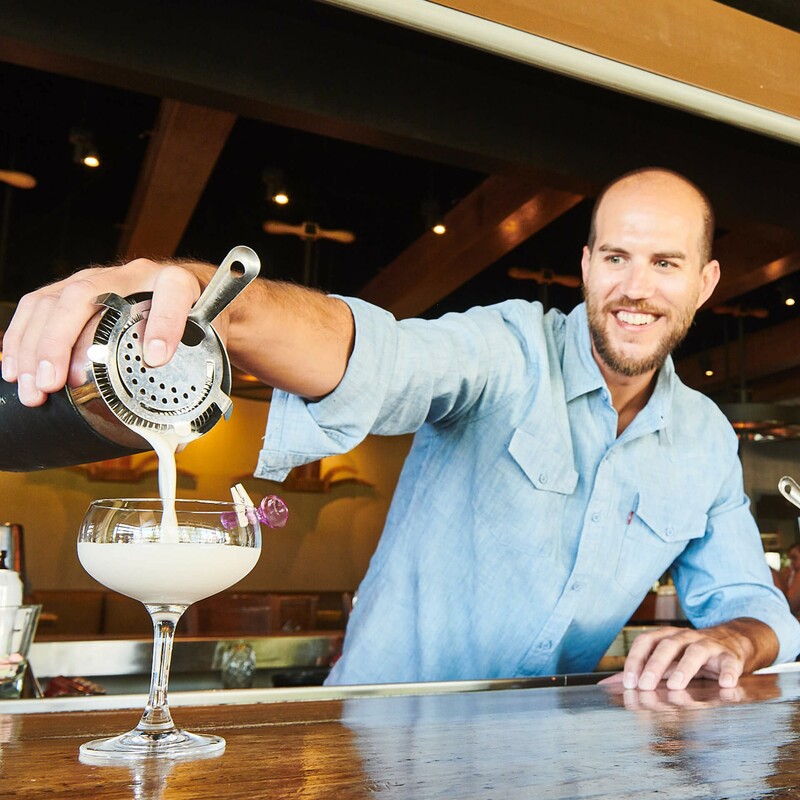 solita’s agave bar features over 70 of Mexico’s finest small-batch tequilas and mezcals, including our signature single-barrel tequila, curated and blended by Director of Beverage Colin Pflugradt. Our bar program is a lively roster of innovative specialty drinks, always on the cutting edge, inspired by frequent travels in Mexico. We use only fresh squeezed juices and 100% blue agave tequilas in our signature margaritas. Each year we travel to the Casa Noble Distillery in the lowlands of Tequila, Mexico, where, for three days, we taste and balance the year’s production to choose custom barrels for our collection. solita’s Single Barrel Tequila Margarita is an experience you can’t get anywhere else.